The Okna 600 series is the company's newest window option. The Okna Eco Pro as it is also call uses a different extrusion from other models. It includes less bells and whistles, but looks-wise it isn't far off the 500 model. The Okna 600 Eco Pro comes with some similar features to the 500 model, including double weatherstripping, the foam inserts, the same low-e glass and a similar locking mechanism. Overall, perhaps not as good as the 500 Series, but still quite a nice vinyl window. Consumers can expect Okna 600 window prices to run $50 to $60 per square foot for the window itself, similar in cost to the Okna 400 series. Similar to the Sunrise window and the Vytex Fortis. The standard Okna 600 awning will deliver a U-factor of .27, .08 AI and an SHGC of .29 and a visible transmittance of .49. Upgrading to the Deluxe package, which includes foam-filled insulation and an upgraded low-e glass, will lower the U-factor of .21, an SHGC of .24 and a visible transmittance of .35. These are solid performance numbers. 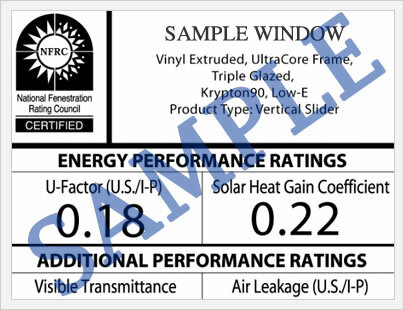 All of these numbers are from the nfrc.org website, which publishes performance data on thousands of window models and series from hundreds of manufacturers. The Okna 600 warranty is identical to Okna 700 window, a limited lifetime warranty that covers the sash, mainframe, insulated glass unit, componenets and all hardware. Hardware is covered for 10 years on coastal homes that are subject to corrosive salt air . The 600 Series warranty is fully transferable. 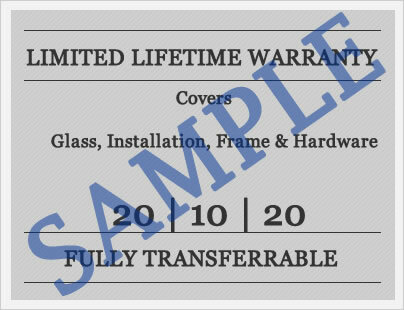 The warranty does not cover the cost of labor to remove or reinstall any defective window. Some limitations and exclusions apply. Do you have Okna 600 windows reviews to post? Help others make the right decisions by helping them learn from your experience. Questions about the Okna window? Jim and John are our site editors and they can answer any of your questions on this new construction or replacement window. I’m replacing three windows: Double Hung (30x45), Double Hung (36 x45), Slider (38x39). Three panes will have privacy glass and each window will have a full screen. In your opinion, are the Okna windows work the extra $550 or $183/window? If I was to get a third quote from a Soft-Lite installer, what would be the most similar level/series to quote? Matt, I haven't yet seen the Polaris 7000 series. I searched for information online, but wasn't able to find anything. If it's an upgrade on their ThermalWeld Series, that's great. I'd ask for some performance data, but I'm assuming it's in between the ThermalWeld and UltraWeld. If that's the case, I'd have say that this window would be as good if not a bit better than the Okna Eco-Pro 600 (although the deluxe package is quite nice). I would probably say the Polaris 7800 with the foam fill and upgraded glass package would be a great option. As long as the installation is solid, you can probably save yourself the $550. I have recieved a quote for the Okna 600 DX series. I have not been able to find reviews. 4 drop in replacement windows, 30" wide x 58" height $540 a window. If adding triple pane $596 a window. Have you any knowledge of the Okna 600 series? I live in north jersey. The 600 series is a blend of the 500 and 800 series. Pete, the Okna 600 window is the newest window from this top tier vinyl window manufacturer. The 600 series or EcoPro has many of the same features of their top-of-the-line 800 series, except for the sill magnet, which I don't find to be a big deal. The 600 also uses a narrower frame, which allows for a bit more glass. It has a different handle at the bottom sash that many customers like more than the 800. It's an excellent window and at $540 a window, it's well priced. No reason not to jump on this bid, assuming that the installer has a good reputation. Thank you John for your reply. Since then I also have received a quote for Softlite Imperial LS Windows. The price was $650 per window. Both installers are rated very well on Angie's list and Home Advisor. Is there that much of difference between the Windows? Is there talk that Okna is going out of buisness? Pete, the Soft-Lite Imperial LS is an excellent window as well. Honestly though, it's not better than the Okna 600 Series. Okna is a very strong company in the window business and weathered the economic recession of 2011 to 2013 quite well. I would have no reservations about them in that regard. Save yourself the $110 per window and go with the Okna. Congratulations on finding a great window at a great price. Many homeowners I deal with on the site aren't as lucky!